Ford is good at making trucks. I mean, there’s a reason the F-150 has been Canada’s best selling truck for 52 years, and it’s ain’t because they’re pretty! (They are, though.) The reason they regularly outsell the competition, from the Silverado to RAM 1500, is because they’re designed to perform. You know who agrees with us? The Automobile Journalists Association of Canada. AJAC has named the 2018 Ford F-150 Diesel the best truck in Canada for 2019. With top scores in visibility, noise reduction, drivetrain, handling, safety and fuel economy, the F-150 Diesel beat all the competition. In 2018 we introduced one of our most ambitious engine alternatives for the F-150 — the 3.0L Power Stroke® Turbo Diesel V6. Built upon the design of the Super Duty® diesel, this option offered our lighter F-150 the kind of power you’d expect in a much larger truck. With class-leading diesel horsepower and torque, it stands head-and-shoulders above the competition. Horsepower and torque aren’t the only things the 2018 Ford F-150 lead in, either. Best-in-class fuel efficiency, towing and payload were all on tap, too. So, in a way, we’re really not surprised the Automobile Journalists Association of Canada took notice. It’s hard not to notice the truck which is standing out from the crowd. By the way, the 2019 Ford F-150 has arrived in Team Ford—and that same astonishing diesel engine which turned heads is still available for it. Best of all, the 2019 model also refines last year’s design, smoothing out the rough edges to make it an even more capable, intelligent and comfortable truck. Best of all, the 2019 Ford F-150 starts at only $30,099.  Team Ford has F-150’s, and we want to get you behind the wheel of one! Come down today to see what features the Best Truck in Canada has to offer, and maybe take on for a test drive. What Makes the Power Stroke Such a Fuel-Efficient Diesel Engine?